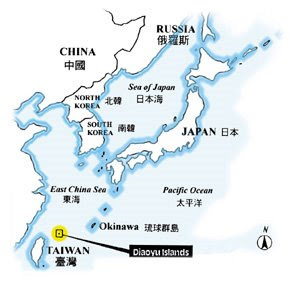 Diaoyutai of Taiwan or Senkaku of Japan? Recently, the sovereignty of the Diaoyutai islands (as they are known in Mandarin Chinese), aka Senkaku (as they are known in Japanese) have been in the headlines and at the center of controversy in Taiwan. A few months ago I spoke to Su Beng about his opinions and involvement with the Diaoyutai issue. Back in 1971, Su Beng, along with the Association for Taiwan Independence, supported the idea that Diaoyutai should be considered a territory of Taiwan. They also protested the Okinawa Return Agreement between America and Japan, which would incorporate the islands as Japanese territory. Even before World War II, Taiwanese fishermen fished near the Diaoyutai islands and during the Japanese occupation period of Taiwan, the Diaoyutai islands were under the jurisdiction of Taipei Prefecture. Su Beng has said that the disputed Diaoyutai islands is an international issue that must be discussed and negotiated between all the countries that want to lay claim on the islands, which include Taiwan, Japan, China and Korea. So what caused the recent uproar over the Diaoyutai islands in Taiwan?